Posted by admin on Nov 29th, 2018 and filed under News. You can follow any responses to this entry through the RSS 2.0. Both comments and pings are currently closed. Disagreement has ensued among people of the Oil Producing Areas of Imo State following alleged plans by suspected top officials of the state government to lure them to their side for the 2019 election through an alleged money offer. Trumpeta has it on good authority that a kind of a meeting between some youth leaders from Ohaji/Egbema and Oguta LGA, where a certain amount of money running into N43m was dangled for youths is raising concern and tension. According to grapevine sources, one governorship candidate who is reported to be making move to an unpopular party using his contact and wealth in connivance with a National Assembly position seeker from the locality (names withheld) are having secret meetings with the youths. It was learnt that part of the deal is for the youths to get the millions and mobilize support for them in the party they wish to join for the election. 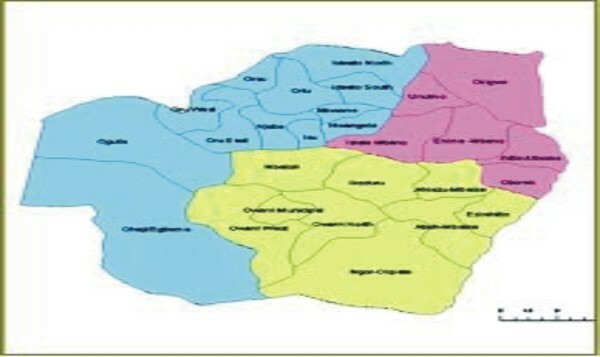 However, reports of the alleged millions meant for the youths are causing problems in Ohaji/Egbema and Oguta LGA as disagreements within the rank and file of the youth bodies supporting the sponsor escalate. While a group within the youth body wants to squander the money and support other candidates of their choice for next year’s election, on the premise that the money could be part of their commonwealth produced through their natural resources but carted away through other means, others pressure for a complete boycott to avoid any agreement in 2019 that will undermine the interest of people of the area in the next dispensation. The group who opted for a complete boycott of the N43m are of the view that the 2019 election should be a payback to any administration who in the past emasculated Imo State Polytechnic located at Umuagwo Ohaji, grounded Adapalm where workers consisting mainly of the locals were starved to death and stifling life out of Rubber Estate in Obuti. Other issues that forced the youth group to reject the money are the insignificant presence of government in Ohaji/Egbema and Oguta LGAs, dysfunction of ISOPADEC since 2011 and inability of the state government to construct the promised Palm Produce Market and International Produce Market locations for its buildings had been cleared.